I get these emails regularly from Apple about my IPhone. I usually dismiss them, but I’ve run across a couple that have really helpful information. Will The New Credit Score System Help You Get A Mortgage? A new bill in Congress could significantly impact your ability to secure a mortgage by changing the way lenders look at credit scores. In December 2015, two members of the U.S. House of Representatives introduced a new bill. Known as H.R. 4211, or the Credit Score Competition Act, the bill is in its first stage of the legislative process. Although it’s a long way from becoming a law (and your eyes may have glazed over at all that legislative jargon), future homebuyers have good reason to keep an eye on this bill. Proponents say it should help a number of first-time homebuyers compete in the real estate market. That’s because the bill would push for a new credit-scoring system, one that could potentially allow more buyers to secure funding (and be more competitive in the Portland, OR, real estate market and other challenging markets). But how much will it really help your credit-score rating — and how quickly? What is the Credit Score Competition Act? I had a closing at my clients’ home this morning. We have worked together for almost 2 and a half years from their lot purchase, through their construction loan phase and finally now, their end loan. It was so fun to see the fruits of their labor (they themselves were the general contractor). The home is gorgeous! Loving that my job is all about relationships! If you are anticipating a rough year when it comes to filing taxes, don’t turn those forms into new year’s confetti just yet. Several key provisions for homeowners have been retroactively renewed for 2014—and they might provide you with some much-needed tax relief. If you did any of these three things in 2014, you still have reason to celebrate (OK, maybe not really celebrate, but celebrate as much as anyone can while doing taxes). In the third quarter of 2014, 8.1 million homes in the United States were seriously underwater, according to the real estate research firm RealtyTrac. If you were a homeowner who decided to short-sell your home last year, it’s not all bad news: Congress once again extended the Mortgage Forgiveness Debt Relief Act. I was just asked this question by someone on Sunday, so I figured it’s important to share since there are an estimated remaining 4-plus million households nationwide who could refinance via HARP, but haven’t. A HARP loan allows those who have lost equity in their home to refinance without adding mortgage insurance or increasing their mortgage insurance even if they happen to be upside down on their loan. I will need to check to see if your current mortgage is HARP-eligible. The best suggestion I can make is to call me so I can determine if your mortgage is eligible. Once I determine that, we can discuss the options and monthly payment scenarios. All it takes is a quick phone call or email to me so I can research it. I do not want those I know to miss out b/c they didn’t know what HARP is. When: Tuesdays at 6 p.m.
More classes and times to come. Late payments, job loss, foreclosure and bankruptcy—today’s economy has had a negative impact on credit scores. Banks and credit card companies use credit scores to determine whether to qualify applicants for loans or home purchases, as well as the rate of interest charged. 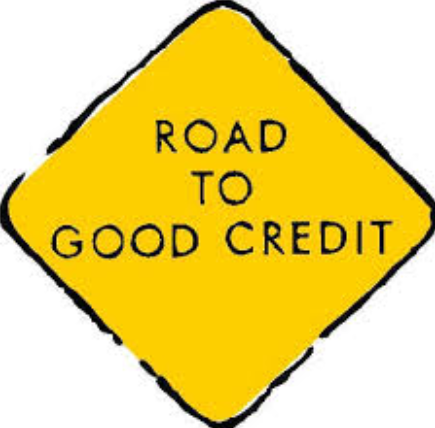 Learn ways to improve your credit score and financial future. NOTE: You do NOT have to be a student of the college to attend this class. It is available to everyone.